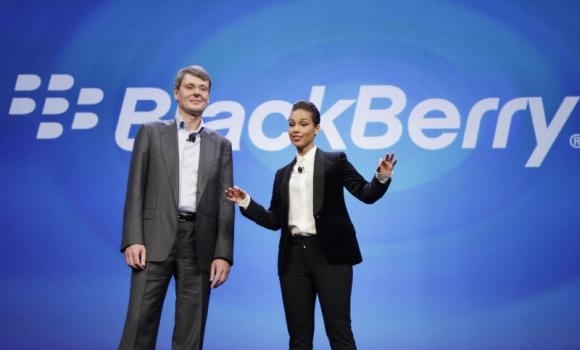 Alicia Keys out as BlackBerry global creative director | BlackBerry Blast! In an unsurprising move, BlackBerry has let go of Alicia Keys as the company's Global Creative Director. Keys was brought on a year ago to help grow the BlackBerry business through various events and videos. Some criticized the move because it appeared that Keys was simply a celebrity paid to promote the product. BlackBerry says she was more involved than it appeared. Her involvement with the company drew criticism from some outsiders who said, despite the decidedly corporate title, Keys was little more than a celebrity who was brought in to help promote its BlackBerry 10 smartphones. BlackBerry has insisted that Keys had a more direct involvement in its operations, including her work on a four-year scholarship program that encouraged young women to enter specific science and technology fields. Now that BlackBerry has a new CEO at the helm the company will pivot away from the consumer market, and it is less likely now that they will need a celebrity endorsing BlackBerry.